The first two weeks of August (until the 11th) are the lunar month of Ashadha. The energy initiated in Ashadha is one of nourishment and harmony. The ruling deity of the lunar mansion that begins this month is the mother of the gods, but because the deity that comes before her is Rudra the destroyer, we shouldn’t think that just because this is the divine mother she is all love and nourishment. In the previous month we encountered the paradigm shifting and ego destroying energies of Rudra, and now for the first two weeks of this month we are moved from the harsher Rudra energies into the energies of Aditi the divine mother. It is her function to help us grow in a new direction after the transformation of Rudra has taken its toll on us. The governance of Gemini over most of her constellation means that Aditi helps heal and restore us through education and knowledge, particularly about ourselves and of the Dharma. The more we know about the Dharma the less likely we are to take the wrong paths in life, and the more we know about ourselves the easier it becomes to avoid the same pitfalls and mistakes of the past. The last two weeks of August begin the lunar month of Sravana. The Sun and Moon initiate this month in the sign Cancer in the constellation of Ashlesha. This is a deeply psychological constellation that forces us to address the “skeletons in the closet”, driving our energies more inwards towards reflection and introspection, making this a good month for personal work. It isn’t a great month for business dealings, as the hidden and covert nature of this constellation can lead to backbiting, lying, and manipulation, for which reasons this constellation traditionally rules spies and covert missions. If you have a vice that you have been secretly dealing with, this is a good month to air it out and seek help from people you trust to help you overcome it. The month begins with some difficult aspects affecting your chart, partly due to some of the problems left-over from the malefic eclipse combinations a few days before. Most of these problems happen along the 4th-10th house axis, so let’s take a look at what’s happening here and how it will influence you. The sign Cancer is your fourth house, and it is occupied by the Sun, Rahu, and a retrograde Mercury. None of these planets are happy here in Cancer, so they can be expected to cause a pretty wide variety of issues, especially in regards to your house, office, and state of mind. Rahu and Ketu afflicting the water sign of Cancer can cause mold problems in the house, water leakages, and plumbing problems. This combination will be looking substantially better by the end of the month after Mercury and Mars leave their retrogrades and the Sun enters into Leo (after the 16th), alleviating most of the problems or at least bringing a solution to them. For most of the month, two retrograde planets will be influencing your 10th house of work and career: Mars and Mercury. The retrograde Mars alongside Ketu can cause stress and anxiety in relation to your work and co-workers or can give you a sense of “moving backward” in your work, doubting career decisions you made. In addition to this, the retrograde Mercury can cause a lot of clerical errors, miscommunications, and technical problems that may add to the stress and make you miss deadlines. The retrograde Mars and Ketu in Capricorn also have a direct influence on your health, overworking you and causing fatigue. By the 19th, Mercury will leave retrograde, clearing up miscommunications and technical issues, and on the 26th Mars will resume a regular forward motion, greatly improving your energy levels and work capacity, and helping you feel like your making progress again in your career. Jupiter will be somewhat weak in Libra all month. Jupiter is an important planet for ambition and motivation, while Libra governs your sense of relation to the outside world, having a profound influence on your mundane karmas. Jupiter’s transit through Libra for the next few months is an excellent opportunity to make plans for your life, writing down your goals and coming up with a step-by-step plan for achieving them. The influence of Ketu and Mars on Jupiter help actualize its potential, helping you in the form of a small promotion or increased authority and responsibility at work. Because of the influence of Ketu on Jupiter, you should be meticulous with your goals or they won’t come to pass. Instead of just having a broad idea of what you’re trying to accomplish with your work, try to actually visualize what you are specifically trying to achieve, where you are specifically trying to end up, and how exactly should you go about doing this. 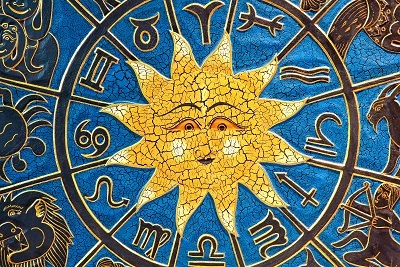 The Sun is strong in Leo after 16th, which will help in this regard because it gives you some extra creativity and imagination, and can give you more confidence to make life decisions. Venus in Virgo all month indicates service to family or loved ones, but the nature of Venus here is such that you’re not a huge fan of having to be of service. You may feel emotionally isolated or removed from the people you care about, either physically by distance or personally through disagreements. Venus is the planet of compassion, and the key here is mindset: to serve through compassion and humility, not just out of a sense of commitment. Develop compassion for people you disagree with, or for your family who may not see things your way. The debilitated nature of Venus means humility is important, and it’s as important to find meaning and self-validation through being humble just as much as it is by being in control. The ascendant lord Venus is in Virgo this month, directing your energies towards education and refining your principles, and when taken alongside the presence of Mars and Ketu in Capricorn, this can be a good time to engage in technical education such as vocational school or continuing education for the sake of work. The physical body may have some problems due to the weakness of the ascendant lord in Virgo, which can cause fatigue and exhaustion, and may cause problems for expectant mothers as well. The remedy to such obstacles is a good diet, fun, romance, music, and other Venusian activities that will help strengthen the energies of this planet. The areas of the chart that are the most active this month are all about education, ethics, principles, and developing new skills. The exalted Mars alongside Ketu in Capricorn can encourage vocational education, as mentioned above, but may cause problems with your father, or a professor/boss may lose their position. Disputes with your father, a teacher, or a superior at work are possible, especially due to the aspect of a retrograde Mercury that can cause miscommunications and clerical errors. There may also be problems with coworkers and siblings. The aspects of Ketu and Rahu in this Capricorn/Cancer axis of the chart are still oriented towards transforming your world-view and personal principles, but you have to be careful that your principles don’t just fall apart in this process due to the malefic aspects involved. You will be regularly put in life situations where you may have to choose sides or help determine “right” from “wrong”, especially in your workplace and with co-workers. Cancer has the Sun, Rahu, and a retrograde Mercury occupying it, with the Sun leaving on the 16th to enter into Leo. 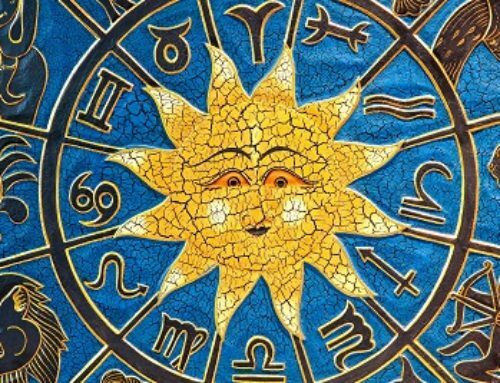 For the first two weeks while the Sun is in Cancer this is a difficult combination because the water of Cancer subdues the fire of the Sun, which can cause fatigue in yourself while causing siblings or coworkers/associates to act in sly and mischevious ways. On the 16th, the Sun enters into Leo, which is a much better place for it to be and will benefit your living situation, your office or workspace, and can help give clarity about life goals. This latter trait is particularly important, since the Sun is the source of “illumination”, and being in the 4th house it has a full aspect on your career and work karmas. The 4th house of Leo being a more psychological sign for Taurus, this transit indicates doing the psychological work involved with your career, such as education, goal setting, etc. Jupiter is in Libra for the month, where it suffers from being weak in its enemy’s sign and can cause conflict with authority figures and teachers (as also seen from the Sun in the first two weeks of the month). Finances are likewise a struggle since Jupiter holds a special position over finances for Taurus ascendants, though physical exercise is a good use of this transit, and the best remedy for its difficult aspects is selfless service to spiritual teachers or a temple. Next month will be much better when the ascendant lord Venus transits over Jupiter and greatly increases its strength, increasing finances and health. and resolving any issues with managers or authority figures. Some of the prevalent energies in your chart this month are those influencing areas of life such as family, health, diet, education, and children. This year has been an important year for your concepts of support and your personal foundation in life, transforming your ideas about family, recognizing the importance of health and diet, understanding that the biological family isn’t the only family a person needs to get through life, and that everything is more difficult when the body isn’t healthy and resilient. These themes continue to be important this month, even heightened, with focus on family and your connection with your father and siblings, making this a good month to spend some extra time with family, even if a conflict or problem with your father is possible (hopefully his health is ok after the eclipse!). If you are looking to move to a new house or office or thinking of getting a new vehicle, this is definitely not the month to do so. All the indicators of these areas are weak or afflicted and particularly cause clerical errors, dishonesty in sellers, and structural problems with the new house or vehicle. For these matters, it is better to wait until after the 19th for Mercury to quit its retrograde motion and resume its progress through the sign of Cancer, but I would actually even recommend waiting until the 2nd week of September for any big decisions about vehicles, offices, or homes, since the transits will be far more supportive of these issues then. If the decision simply can’t wait, then get second opinions from older more experienced authorities that you trust, and work with people who you know well or who were well spoken of by people you trust. Don’t just fall for a good salesman, or make a decision in haste. To help in this you can make offerings to Lakshmi. Academic and educational ventures are weak at the moment, so it is best to avoid any serious work in this direction at least until Venus enters Libra next month, strengthening Jupiter and giving you more creative energy. For now, the overall creativity and imagination in the chart are stifled by some bad planetary transits, which incidentally can cause hangups in educational pursuits and also some problems with children. There are a lot of retrograde planets throughout the month, and this causes a general feeling of stagnation like you are fighting uphill and not making any progress. Just about everyone is going to feel that way this month, but take heart that most of these issues will be resolved as soon as early September, just a month away. After the 19th, Mercury will be functioning properly so that financial and living/office situations can be resolved, and after the 26th Mars will be functioning properly again as well, allowing you to make progress in your health and wellness again. There’s a lot of energy in your ascendant axis this month, especially in the first two weeks, so expect a lot of change and transformation in August, with some situations being out of your control and others being up to you. The Sun, Rahu, and Mercury all occupy your ascendant at the beginning of the month. The Sun in Cancer is usually difficult for finances and family since the Sun here is being “held back” from entering Leo (where it gives wealth), so for the first two weeks of the month, it may feel like wealth is being “held back” from you. This result is exaggerated by the retrograde motion of Mercury for the first three weeks of August, where clerical errors, miscommunications, and technical errors will add to your financial problems. These problems may not actually cost you money through debts or unexpected expenses, but they do delay income. As such, it’s best to be frugal until situations towards the end of the month lead to a better financial state (beginning on the 16th when the Sun enters Leo). An exalted Mars is retrograde throughout most of the month, which can be stressful for work and career when considered alongside the combinations mentioned above. In business, Mars this month may cause some problems with/loss of a business partner, and most of the month is also bad for real-estate ventures. In personal relationships, the retrograde Mars can cause a distance between you and your significant other. Due to the physical nature of Mars, this distance is more likely just physical distance instead of more personal emotional distance. On the 26th, Mars resumes a regular motion and regains a powerful exalted status, which when combined with the Sun in Leo should resolve a lot of financial woes and get your work moving forward again. On the 16th, the Sun enters into Leo, which adds substantial strength to the chart in the form of both health and finances. Some issues may get resolved with your family, and financial situations should begin to straighten out after a difficult few months. On the 19th Mercury leaves its retrograde motion and resumes a regular movement, and on the 26th Mars does the same, so by the 26th, the night sky will be working in support of your chart again, straightening out a number of issues from the last few months. Still, expect a lot of hard work. Mars and Ketu in Capricorn will make you plenty busy, and the aspect of Saturn on the Sun means the Sun isn’t going to just hand you money, you’re going to have to work pretty hard for it. Saturn is retrograde in the 6th house of Sagittarius, where it causes some problems for the health of the father, siblings, finances, and in general, can lead to a lot of work. The remedy for such things is serving the elderly or disadvantaged, either donating time or money to charities that help support such “saturnine” groups. Venus is debilitated in Virgo all month, and aspected by a difficult Saturn, so we can expect it to cause some problems with where you live, some obstructions in finance, and maybe some problems with a sibling or co-worker as well. It’s definitely a pretty intense set of transits for this month, but next month looks substantially better. Be frugal with your money, thoughtful with how you treat and respond to coworkers, and help the disadvantaged or disabled when you can, and you should be able to end the month on a high note. The ascendant lord Sun begins the month in the watery sign of Cancer, which has an adverse effect on the fiery nature of the Sun. This is a typical combination for gambling, loss of finances, bad investments, or big expenditures, so be mindful and frugal for the first two weeks of the month. For those more spiritually minded, the esoteric aspects of Cancer and bring to fruition meditative experiences, spiritual retreats, and encounters with the spirit world. The financial implications of this transit are further supported by the presence of the retrograde Mercury in Cancer alongside the Sun. Mercury is one of the most important significators of finance for Leos, and its difficult placement in the 12th house of loss and debts can cause financial problems, especially while retrograde until the 19th. But what are the sources of expenditure? Some of the obstacles could simply be less income due to purposefully working less, though there can also be expenditures on the physical body due to health. On the 16th, the Sun enters Leo, which should alleviate most if not all of these issues, strengthening health as well as personal resolve and work effort. This yearly transit of the Sun through Leo is a great opportunity for initiating change in your lifestyle, relationships, and health. It is a great time to pick back up an exercise routine or nutrition plan, as well as working hard to achieve any personal career goals you may have. Either way, it’s about refining the energy of the self, meaning your relationship to yourself and how you see yourself. Mars is exalted in Capricorn, which creates some powerful combinations in the chart and adds a lot of energy to the areas of spiritual growth and devotion, as well as leading to changes in your living situation. The downside at the moment is that Mars is retrograde, and this can lead to misuse of this strong martial energy, turning it towards others at your workplace and creating a false sense of justice or false pretense of self-defense. A retrograde Mars in the 6th house of Capricorn can too easily lead to uncalled-for confrontations or a feeling of being attacked. Now after the 26th, when Mars quits its retrograde motion, then this energy functions much better and you can achieve a lot in the fields of spiritual practice and personal development, as well as improvements to your home or office. My main concern is that the misplaced aggression or simple lack of work ethic from the retrograde Mars will result in a loss of your job or a pay cut/cut in hours of some kind, due to the full aspect of Mars on the bad financial combinations in the 12th house of Cancer. This is made more worrisome by the debilitated Venus this month, since Venus rules the sign of career and employment, substantially weakening the energies here. Again, this could simply indicate a voluntary absence from work, such as a vacation or sick leave, but it can definitely result in the loss of a job if you’re not careful! Jupiter is weak in Libra throughout the month, though it still casts favorable aspects on several parts of the chart. Its strongest aspect is on Aries, which governs spirituality, principles, and spiritual teachers/guides. The third house of Libra is called “sadhana bhava”, meaning the “house of sadhana(spiritual practice)”, and hence the transit of Jupiter in Libra for the last year has continued to energize this part of your life. This is also a good transit for writers and authors of all kinds, as it helps develop skill in grammar and literature. Jupiter also casts a good aspect on Aquarius and Gemini, where it can benefit relationships and income, though there are some obstacles to this latter indication throughout this month. Finances are going to be a difficult area this month, both in investments and income. Clerical errors or miscommunications may delay a paycheck or cause a calculation error, though there is also the possibility of a temporary loss of income simply due to a job change. Any net-wealth or investments, as well as vehicles, may suffer from some of the combinations this month too. Luckily these difficult financial combinations will be resolved by next month, but for now be careful with your money. There are combinations in the sky for bad management of your finances, so maybe check in with your accountant or a financial manager before making any big money decisions this month. If you feel that such a decision is good, then at least wait until after the 19th, when Mercury resumes its normal progression in the zodiac sign Cancer, which will help prevent miscommunications or mismanagement of money. You should especially avoid any real-estate investments this month. There’s still some pretty intense emotional work being done this month, as there has been all year. Some situations will arise that make you feel emotionally cut-off from others, whether it be a temporary phase of apathy in general or a specific break in a relationship with a loved one, this is an important time for facing some of your own concepts of self-worth and value in relation to others. Venus is an important planet for the “opening the heart”, and its difficult transit this month means the heart is trying to close its petals and hence close itself off from the world. Clinging to spiritual teachings and devotional practices are an important remedy for this, and I would recommend that you go on a camping trip or personal vacation by yourself so that you can build positive associations with yourself. Many people simply never try to do anything fun, adventurous, or nice by themselves out of a fear of being alone, and I think this ends up resulting in having very few positive associations with some simple “alone time”. If you’re only alone when your sad or depressed, and you only have fun with others, how can you build positive associations with your self? This is a lesson Saturn has been trying to teach you for the last 3 years, forcing you into the world on your own, sometimes kicking the whole way. This is the last year of Saturn’s transit, so its the last year to learn these valuable lessons! Saturn is the great teacher of the night sky, though his lessons are harsh. There may be hang-ups in education this month, or disciplinary problems with children, but these should be resolved after the 26th once Mars resumes its regular motion across Capricorn. If you were thinking about any educational pursuits this month, or are trying to enroll in a school, there will almost certainly be obstacles in the way and mistakes made that delay any real progress on this front until next month, when the stars support such endeavors much more strongly than this month. If you are expecting a child then there may be a health scare this month due to the difficult transits of a few planets, but these issues should be resolved by next month. Wearing some silver, avoiding coral, avoiding hessonite, and avoiding cat’s eye stones are all good ideas for expectant mothers. Some of the same things that indicate children in astrology can also indicate employees, and hence there may likewise be problems with employees this month, and you may have to fire some workers to prevent further distress. The 1st, 4th, and 10th houses are all active this month, and since these three houses indicate three of the four pillars of worldly karmas we can expect a lot of energy and transformation in your health/self (1st house), your home or office (4th house), and your work situation (10th house). The only one of the four pillars lacking a planet is the 7th house of relationships, but its lord Mars is exalted in Capricorn and can still be conducive to some change in relationship life, though I would expect this to wait till the end of the month when Mars leaves its retrograde motion and resumes a normal forward motion again. Your ascendant lord Venus is in Virgo all month, which is a difficult position for it. Venus is weak here and can lead to financial debts or investments, or can cause expenditure due to travel. There is a strong aspect of Mars on Virgo and Venus that indicates expenses due to an office space or home. Since its the ascendant lord, only so much harm can come of this transit, and your ascendant itself is supported by Jupiter, which should help mitigate any health issues this transit could cause. In fact, I would argue that this is actually a good time to work on your health and physical fitness since the aspect of Venus on the 8th house this month can help you work on your health and physical strength. Jupiter supports this by directing energy into your ascendant that can indicate physical struggle (exercise) and develop new skills with the physical body such as learning a new kind of exercise or physical art. Mars is exalted in Capricorn alongside Ketu, both of which can indicate real-estate and property, and being in Capricorn this can lead to a new residence or office space. It is, however, quite a stressful combination, despite being good in worldly matters. The aspect of a retrograde Mercury on the retrograde Mars makes me think that there could be an issue in the paperwork or a mess-up with the clerical side of acquiring the new property or office, and some offerings can be made to Ganesh or to Buddha-Graha to help protect from this until Mercury quits its retrograde motion on the 19th. The exalted Mars also has relationship implications due to its strong aspect on the 7th house of love and partners, but such matters should wait until after the 26th or else the intellect and passions will be misled due to the retrogrades of Mars and Mercury. Likewise, avoid any new partnership ideas for business until then as well. The overall theme of the chart this month is oriented towards transformation in your career and income situations, but there are too many retrograde planets for an immediate reward for your efforts. By the end of the month Mars and Mercury will be fine and give plenty of blessings, and this should help you begin to see tangible results for your efforts. Rahu and Ketu are still on the 10/4 axis, making this a great time to continue working on your career, where you work, and the direction you are trying to take your life. The ascendant lord Mars is exalted all month in Capricorn, but it suffers from a retrograde motion. Retrograde planets tend to make people travel, and since Capricorn is a sign associated with traveling for Scorpios it is likely that you’ll take a trip or journey, and since Ketu/Rahu indicate foreigners, this can be to foreign lands or cultures. This transit of Mars can also cause lots of work, as well as problems with siblings or co-workers, while its aspect on Libra can cause high expenses and again signifies travel as a source of expenses or at least loss of income from time off work. The Sun and Mercury both have a full aspect on Mars until the middle of the month, which again can indicate travel and working less, followed by a stint of more work than usual once the Sun enters into Leo after the 16th. The retrograde motion of Mercury can impede educational endeavors and cause clerical mishaps at work or with a superior/manager, but this retrograde ends after the 19th and will smooth out any issues subsequently. Mercury, Rahu, and the Sun all aspect the ascendant for at least the first two weeks of the month, with the Sun leaving this aspect on the 16th while Mercury remains in it for the month alongside Rahu. The transit comes from the sign of Cancer, which is associated with the father, dharma, teachers, education, and religious pilgrimage. The retrograde Mercury is associated with travel and can lead to religious pilgrimage when associated with Rahu, or can lead you to further your education or receive some vocational training for the sake of making more money. The presence of Mercury here is also good for finances, and a promotion or pay-raise is possible after the 19th when Mercury leaves its retrograde motion and is strengthened by a nice, strong Sun in Leo. On the 16th, the Sun enters into Leo and creates a powerful combination in the sign that governs career, work, and destiny. This transit can give you a lot of clarity about the direction of your life and career, and help you establish a meaningful course of action in this area. For those already well placed in their career, it can lead to promotions, recognition, and bonuses. If you are working on a big project, then this is a good time to take advantage of the energy of an exalted Mars and a powerful Sun to hit the gas on your project and bring it to completion. A debilitated Venus in Virgo isn’t a great indicator for finances either, and can also weaken the energy of relationships and business partnerships, meaning that when considered alongside the retrograde Mercury this is not a good month for new business deals or partnerships, even if the Sun after the 16th will support most other work endeavors. Jupiter in Libra all month can lead to some financial losses from education or family. Next month, starting with the 26th of this month will look much better for finances and work, and most other endeavors. In the meantime, it may be good to take some time from work since some financial loss is indicated anyways, travel and spend time with family, and use the energy of the Sun in Leo after the 16th to formulate goals and direction for your career. This has been a long few years due to the place of Saturn in your chart, and it will continue to be a year of growth and maturity, learning the lessons from the last 2 years and applying them to your life now. Your ideas about family and sustenance are still growing, and there may still be some difficulties ahead of you in regards to family and finance, as well as possibly some health and digestive issues that are coming to the surface and being resolved. Saturn spends 3 years at a time in a sign, so these results have come in phases throughout the last two years and will continue to do so throughout this year. This month in particular, due to the retrograde motion of Saturn for now, you may feel like you lost progress you made, or regressed in some areas of your life, especially your sense of self and happiness, but this is just the retrograde motion of Saturn making you redress some old wounds for good before it finally leaves Sagittarius and moves on to the next sign (where it brings a lot of blessings for the next 3 years instead of hardships!). If you are involved in real-estate or long-term investments, then it has probably been a good few months for you due to the exalted Mars, but for this month you can lose money and make some pretty bad decisions in this area if you’re not careful. Be wary of new employees for potential buyers/sellers, making sure to check up on references and get second opinions. The retrograde of Mercury can cause serious miscommunications and even downright bad business practices, so the best course of action is no action at all, at least until Mercury and Mars quite their retrograde motions after the 26th of August. Even those who don’t belong to the above-mentioned group of investors and realtors still need to be careful due to transits that weaken the energies of career, making you susceptible to losing money and even your job. The weakness of Venus plays a role here, meaning the solution to some of these issues is to be patient, understanding, and compassionate with others, avoiding confrontations and fights at the workplace with employees under you, or with co-workers. There may also be quarrels with the family. Anxiety and stress are likely results of the above-mentioned issues, especially since your health as a whole has likely been negatively impacted by a particular year-long transit of a planet in your chart, making your nervous system and mind already a little compromised in health. The main trouble-causing planets with your health right now are Rahu and Mercury, both of which are “windy” planets, an ayurvedic medicinal term used to describe anxiety, stress, and nervous system issues. The winds are beath controlled through pranayama, the ancient science of breath control, and I recommend you look up some practices from a qualified source if you don’t know what pranayama is. Breath control practices have been consistently shown in laboratory conditions around the world to reduce stress and anxiety and forcibly activate the parasympathetic nervous system, which in turn gets you to relax and breath easily. These practices, and similar ones such as Chinese Chi Gong or Japanese Kokyu-Ho methods, will do wonders in protecting your health through these difficult transits throughout the year. With the planet of love (Venus) being weak this month and the planet that rules relationships for you (Mercury) being in a bad spot in the sky, this may prove to be a difficult month for relationships due to a breakdown in communication and a loss of passion and feeling. I would advise that any decisions about a relationship be put off until next month when a better Mercury and a MUCH better Venus will give you more clarity on these issues, better communication to resolve them, and more compassion to help support one another. Five planets occupy the most important axis in the chart, the 1st and 7th houses. This axis is important for our sense of self, our health, happiness, how we express ourselves in the world, and the relations we form with the world around us. It has implications in our personal life and psychology as well as a strong influence on our worldly karmas and activities. The first thing we should note is the continued presence of the Southern and Northern Nodes of the Moon in this axis, where they have been for most of the year so far and will continue to be until the end of the year. These two planets are the initiators of transformation and change, bringing latent karmic impulses from past lives into manifestation. As such, much of the change this year in what you’re doing and people who have come into your life all play important roles in your karma in this incarnation, instead of just being parts of the usual chain of cause and effect in our daily lives. Relationships formed during this time have immense value to teach you about yourself and your destiny, and changes in work and career, or new projects with your work, are likely to be unfulfilled karmas from previous lives reaching for fulfillment now. The next thing to note about this axis is the prevalence of fiery and energetic planets, since three of the five planets are Rahu, an exalted Mars, and the Sun, all three of which are chief influences over our ability to initiate change, our passions and drives in work and life, and our sense of destiny and place in the world. The strongest of these three is Mars, whose exalted and retrograde motion give it immense energy, and will continue to do so for the rest of the year. Mars rules your house, your office, education, finances, and income, and by being exalted it benefits all these areas of your life accordingly. It’s placement in the ascendant means you are in charge of these areas more than outside factors are, and this gives you the chance to make changes to these areas of your life in the direction you are trying to move. Any attempts to find a new place to live or acquire an office space should be put on hold until after the 26th, once both Mercury and Mars have left their retrograde motions. Likewise, any new business deals or partnerships should be pushed off until this time as well. This is a good time for education, and for those spiritually oriented it is also a good month for spending time in the presence of your teacher or guru. Even though there is a lot of energy in the sky for most of this year, this month, in particular, is better spent pulling back your energy and focusing more on self-development, opening the heart, spiritual discipline, and association with authority figures, father, and guru. This is because the retrograde planets aren’t likely to be very supportive in mundane efforts until the end of the month, while on the other hand the ascendant lord Saturn in the 12th house of the afterlife aspected by Venus in the 9th house of religion and spirituality is a good combination for taking a break from mundane concerns and focusing on spiritual development. Next month, once Mars and Mercury have quite their retrograde and Venus enters its own sign Libra, the time will be better for action in mundane concerns with the reward for such actions quickly following. Jupiter is in Libra where it will give mixed results until it leaves Libra in the end of October. As a natural powerful benefic planet, Jupiter can help you find financing for work projects, bring important authorities and patrons into your career projects, and is also good for all writing endeavors. However, since it is naturally weak in Libra, these results aren’t given quickly or easily. There may be unforeseen obstacles, or some of the help received ends up being much less than pledged or what was sought for. While this month is still a little difficult in this regards, next month should prove much more fruitful when Venus enters Libra and thereby strengthens Jupiter substantially, bringing the right people your way, and making it easier to fundraise. The ascendant lord Saturn is retrograde in the 11th house, afflicted by a retrograde motion. Saturn’s presence here makes you work on your ideas about money and its place in your life. Some of us feel that we need to be wealthy, but can’t think of a single good reason why. Others feel they need to be poor but have strange conceptions and a distorted personal relationship to wealth itself, feeling that they don’t deserve to be wealthy, or that wealth is a bad thing in and of itself. And for many Aquarius ascendants, this transit makes you confront stagnancy of wealth and income, forcing you to either accept that you lack the drive to increase your finances and are fine with “getting by”, or changing your concepts about wealth and helping you develop a healthy mindset about finances. Either way, Saturn in the 11th house of finances for the year can stagnate income and make you feel stuck, working a lot of hours with little financial reward. Mars has been exalted for the last few months and will continue to be so for the next few months, and it has helped bring some work and money your way, even if not the most fulfilling work. This month Mars suffers from a retrograde motion, which can cause obstacles at work and/or problems with co-workers, or problems caused by co-workers. Siblings may be adversely affected by this as well, causing you to travel and spend money to help them. For those on the spiritual path, the presence of Ketu in Capricorn alongside Mars is good for spiritual discipline, practice, and experiences, though this will be more prominent next month once Mars resumes its healthy forward motion. Mercury, Rahu, and the Sun all occupy Cancer, a sign that governs service and work. The Sun’s presence here is good for working on your health through diet and exercise. Mercury is retrograde until the 19th, and can make you do mandatory paperwork, continued education, or legal documentation that you’re not too thrilled about but will have to do regardless. The aspects of these planets on the 12th house of Capricorn means some of these things will cost you money, such as debts for classes or fees for legal documentation. The retrograde motion could indicate something along these lines that you had already taken, but due to some mistake or a clerical error will have to do again, or paperwork you will have to resubmit. Jupiter is transiting through Libra, which is good for those who are pursuing a new educational endeavor, or for those on the spiritual path traveling to spend time with teachers or undergoing higher education. Finances are supported, and Jupiter may allow you to get approved for a loan, or you may even get a pay raise, though such a raise is more likely next month when Venus joins Jupiter and strengthens it considerably. For this month, Venus is debilitated in the 8th house, where it can cause car problems and expenditures due to the same, but can also initiate a change of residence or living situation, though there may be some problems with the new place or office. Jupiter is the most important planet in your chart for determining the overall direction your energies and efforts are flowing, and throughout most of the year it has been in a difficult sign, drawing your attention towards your health and fitness, while also making you rethink your career path and education choices. Situations with career, as a whole, have likely been stagnant with a feeling that you can’t make much progress in this regards, despite working quite hard all year. The impetus of Jupiter is such that it forces you to reconsider your line of work and pursue a new education or skillset to change your career situation. In other words, the difficult time with work has been a purposeful effort by the stars to make you re-evaluate your work. Superiors are going to be difficult, maybe even to the point of trying to get you fired or set you up to fail so that they have a reason to take disciplinary measures, and previous managers or bosses that you like may have quit the job in the last year. To add to this situation, a weak Venus for the month of August means that you simply aren’t feeling the same passion and connection to your work, or even to your relationships, as you used to. The difficult aspect of Venus is hard not only at your job but also in your romantic life. As the planet of passion and love, a weak Venus in Virgo this month will lead to diminished passions and maybe even a feeling of apathy towards others, making you feel disconnected from those you used to feel close to, or unpassionate about things you use to care about. Due to the aspect of Saturn, some of this apathy is actually meant to help you rethink and mature your concepts about these parts of life. Next month venus leaves Virgo and enters into Libra, where it is much stronger and can significantly increase your sense of connection, as well as improving your overall health and maybe bringing some educational possibilities related to medicine and health your way. In speaking of education, there will probably be a clerical problem or something of the sort for those of you currently undergoing education or trying to enroll in a class or program. The retrograde Mercury in the sign Cancer is likely to disrupt education or testing, and may also cause some problems with taxes or fees related to your house or office. After the 19th these obstacles should resolve and educational pursuits can continue as plan, as Rahu continues its occupancy of Cancer for the next few months, pushing a lot of energy into all education-related activities. On the 16th, the Sun will enter strongly into Leo, which helps to confer energy and intelligence to the chart, allowing you to easily accomplish things that seem hard at the beginning of the month.